In all the rhetoric over the proposed Trump budget, the Congressional spending bill, and so forth, it is easy to lose track of both the forest and the trees. 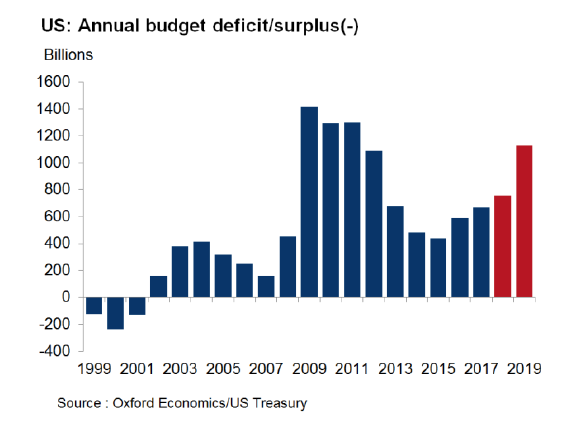 So here, courtesy of of Oxford Economics, is just one chart that shows what is really taking place: starting next fiscal year, the US is unleashing nothing short of "crisis level" spending, with the US deficit in 2019 set to top $1 trillion for the first time since 2012, and approaching the record deficit hit in 2009, when the US was hit by the worst economic crisis since the Great Depression. But wait, there's more: it will only get worse from there. 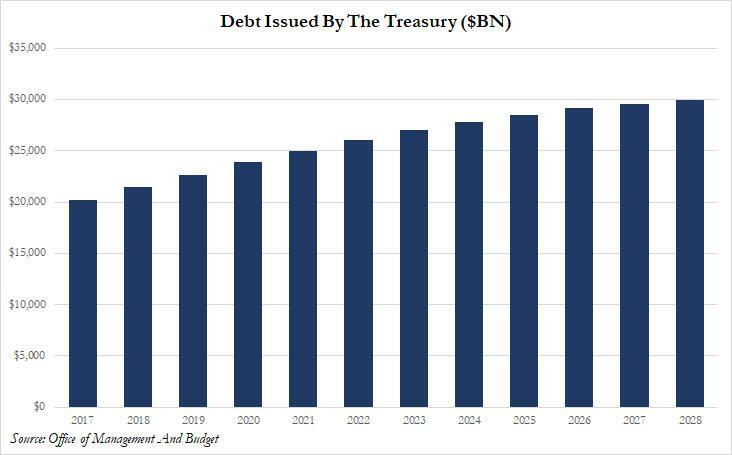 As Oxford Economics reports, after deficit rise sharply in 2019, topping $1 trillion, it gets even worse: "The tax cuts passed late last year, combined with the spending bill Congress passed last week will push deficits sharply higher." 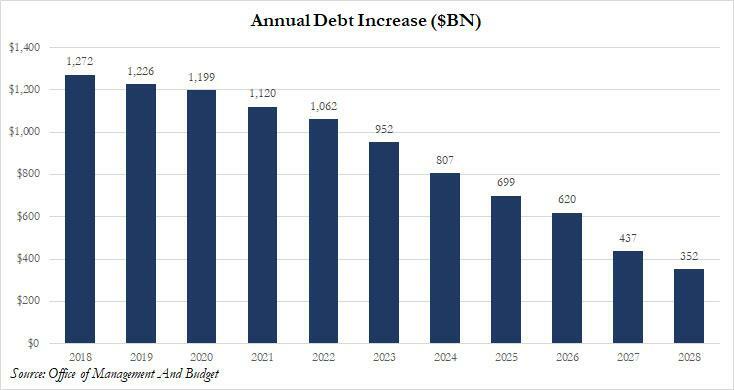 ... as a result of $1+ trillion debt (and thus deficit) increases for at least the next 5 years. 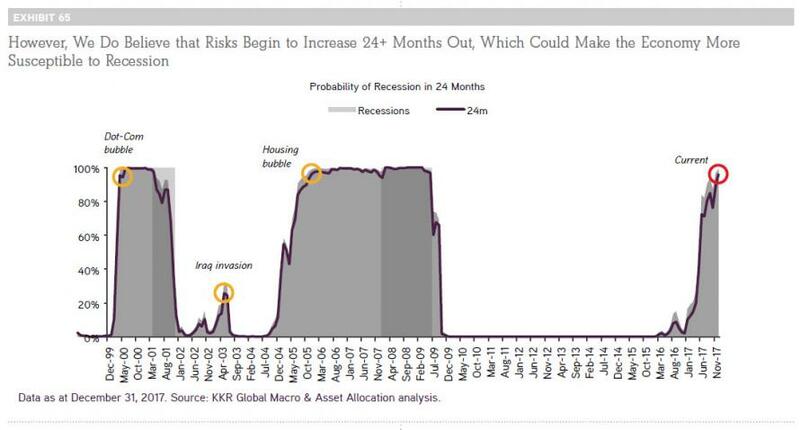 To which one wonders: have the words "fiscal conservative" lost all meaning if the US is launching what is clearly crisis level deficits and crisis level spending at a time when the US economy is - allegedly -growing at a healthy pace, and what will happen if said economy were to actually enter a recession in the coming 24 months, which as a reminder, KKR sees as a 100% certainty.